German luggage brand RIMOWA has launched its inaugural RIMOWA X ART collaboration, which you can check out at its month-long exhibition. 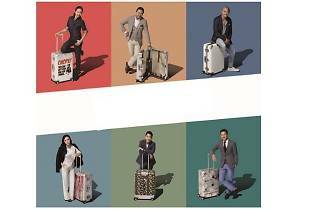 Six home-grown personalities and six local artists, including Geoff Ang and Kevin Seah, were invited to create luggage designs using their own representations of Singapore’s arts and cultural heritage in lieu of the nation’s Golden Jubilee celebrations. You can view and even purchase the six limited edition customised suitcases ($5,000 each) during this exhibition; to commemorate SG50 through philanthropy, all proceeds from the sales will go towards Mercy Relief.